Tragedy struck in Umueze, in the Mbaitoli area of Imo State on Wednesday, after the traditional ruler of the community, Eze Opara, allegedly killed a 25-year-old graduate, Uchenna Opara, aka Junior. Residents of the community disclosed that the incident occurred on around 6:15pm at the community’s primary school playground. When Punch visited the palace of the traditional ruler, scores of youths were seen setting the palace ablaze, including destroying the suspect’s Nissan car. 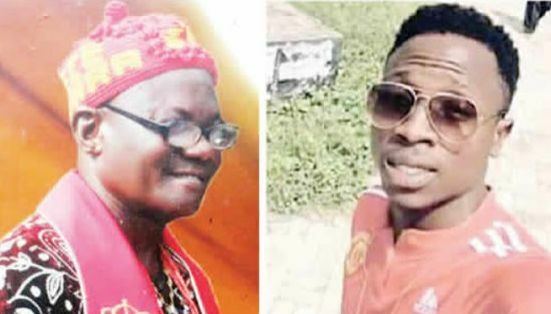 The community youth leader, Bethel Iwuoha, told Punch that while one of the security guards of the monarch, Atuonye Opara, allegedly cocked the pump-action rifle, Eze allegedly pulled the trigger. The state Commissioner of Police, Chris Ezike, said that Eze was in police custody, adding that the gun had also been recovered.